Prysmian Group has reached the first position in the Integer Research's newly published Top 100 Wire & Cable Producers Database, a new independent ranking of 100 global wire and cable manufacturers by revenue*. According to this research, Prysmian's insulated wire and cable revenues reached US$9.6 billion in 2013. Prysmian has remained the global number one since its acquisition of Draka in 2011. Nexans cable revenues for the same period were not far behind, while Sumitomo Electric came in a close third as its revenues reached US$6 billion. The leading Japanese cable producers Furukawa Electric, Fujikura and Hitachi are still in the Top 10, but continue to slip down the rankings as their key domestic market in Japan continued to struggle through 2013. Integer Research's new Database details wire and cable revenues (US$ million), company by company, based on the size of their turnover for each calendar year stretching from 2013 back to 2008, allowing for some very revealing analysis of the competitive landscape. The Top 100 companies featured had combined revenues of US$115 billion in 2013, up by US$1.1bn from 2012. One of the other key developments in the rankings has been the rise of a large number of Chinese wire and cable companies into the Top 100. They have displaced a number of European, Middle Eastern, Taiwanese and ASEAN companies from the rankings. 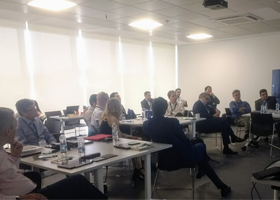 "The Chinese cable market has shown rapid growth over the last decade, but consolidation and investment in modern large scale operations has seen more than 36 Chinese cable companies enter the Top 100," says Integer's Director of Wire & Cable, Philip Radbourne. The leading Chinese cable producers in the Top 25 include Far East Cable, Tongling Jingda, Jiangsu Shangshang, Hengtong Group and Baosheng Cable. 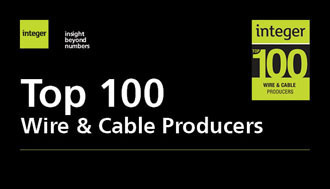 More information on The Integer Top 100 Wire & Cable Producers Database, including a free preview, extract charts and an alphabetical list of featured companies is available here. *Revenues are reported in US$ million, and include insulated power cable and enamelled/magnet wire and strip figures. Revenues from copper and aluminium rod, bare overhead cables (ACSR/AAC) and wiring harness are specifically excluded.